Albania Chat sites are very popular in East Europe, there are also people from Serbia, Kosovo, Greece, Italy, Bulgaria, Turkey, Bosnia and Croatia in these platforms. You are going to find the best chat sites of country here. You will able to find many girls and men in these sites. You will able to find a lot of online people in the sites. You will able to find a little information about them in here and there will be some terms of the sites. If you would like to meet someone from this country it will be quite handy for you. Albasoul is looking like Parajsa chat. They have a irc related chat rooms and it’s very easy to use to site. If you ever used IRC servers before you will able to chat here too. You can chat with people from Italy, USA, Turkey, Kosovo in here. Albasoul is one of the most popular chat sites of the country and there are huge amount of online people in the site. It will be easy for you to find a girl here. You don’t need to register to site and all services are free on Albasoul. Albanur is a good chat site which you can find lots of partners. It’s very popular chat site in the country and there are many online people in the site. It’s free to chat here and you don’t need to register to site. There’s no age limitation too. Albanur is also irc related sites as same as other sites. IRC related sites are very popular in the country. Albanus is one of the best chat platforms in Albania. AlbaChat is one of the good options in Albanian sites. You are going to find a lot of online people in the site and you will able to talk them anytime you want. You don’t need to register to AlbaChat at all and all services are free in the site. There’s no age limit on AlbaChat and there are generally older people than 18. It’s an IRC related chat site and there are no video and microphone features. Dardania Chat is a good chat site where you can meet many girls. You will able to find many partners and online users in the site. If you would like to chat with someone from East Europe, this site will be the most suitable place for you. Dardania Chat is easy to use and it’s not required to register to site. You will love to chat on Dardania Chat. Argetohu is a reliable site of the country which people used to chat here. It’s free to chat in the site and you will able to find many online girls on Argetohu. Registration is not required in the site and there ‘s no age limit in Argetohu. However site is using Java Chat and you need to have Java on your browser. If you don’t have Java, you can’t chat on Argetohu. Chat Shqiptar is a good Albanian chat site which offers you many chat rooms with videos. There are Albanur Chat 18 Plus, Kosovo Chat and Al Skenqo chat rooms in the site. You don’t need to register to site, however you need to be older than 17 years old to chat on Chat Shqiptar. There are 4 different chat rooms in the site which you can use safely. There are also video and microphone features in Chat Shqiptar. EjaChat is anothe popular chat site of the country. All services are free and there’s also a radio service in the site. You can listen to radio while you are chatting. There are good amount of online people in the site. There’s no age limit for join to site nor registration is required. ZemraChat is anothe good chat platform for everyone. Registration is required in the site but you don’t need to pay for chatting here. There are always good amount of online people in the site. Parajsa Chat is one of the awesome options for free chatting. You will able to find a lot of girls and women in this site. If you would like to meet with someone from Albania, we highly recommend you to enter to site. You don’t need to older than 17 years old for join to site. It’s a irc related site and easy to use. There are many people from USA in Parajsa Chat. If you are seeking more info about Parajsa Chat click here. 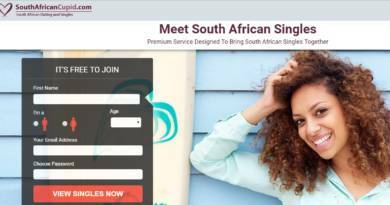 Akullore Chat is one of the awesome chat platforms of country and you will able to find a lot of good girls in the site. There’s no registration required in the site and you can use all features free. Akullore Chat is IRC based chat system. There are many online people in Akullore Chat always. Nastradini is a irc related chat platform where you can meet many girls. There’s no registration required in Nastradini. It’s easy to use and reliable site for everyone. These are the best 18 sites. You will able to find another Albania chat sites where located in Switzerland, Germany, USA, Greece and Kosovo. Meemira Chat eshte faqe Shqiptare per njohje online me vajza te reja shqiptare dhe djem shqiptar nga e gjithe bota.Bisedo online dhe gjej shpirtin tend binjak!